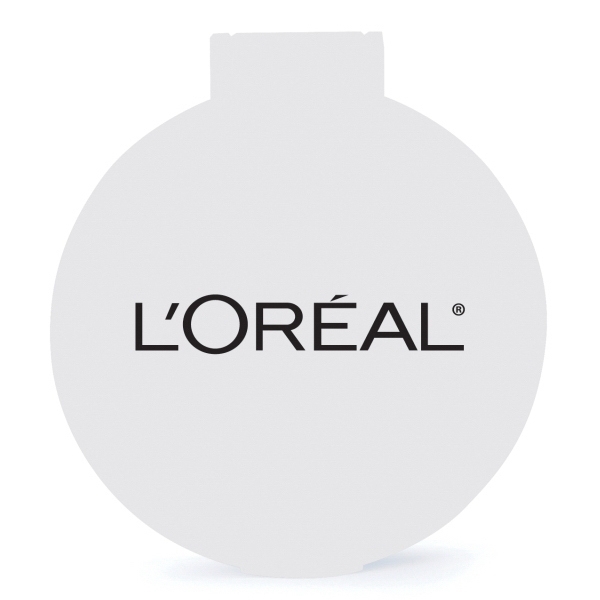 Imprint Method: 1 Color 1 Location - Give your clients the ability to carry your message with them with this round, ultra-thin compact mirror. With a thickness of 3/16 this mirror easily fits into pockets, bags and purses. Mirror is protected by a lid and comes in several different colors. Imprint your message on a 2 in diameter space to truly get your message around. Size: 2.63 " x 2.38 " x 0.19 "